When we started this blog back in March 2008, we knew we’d have a lot to talk about. We’re museum geeks, so that means we’re interested in all kinds of stuff (some of them, admittedly, a little strange). We work at a museum that combines history, culture, and science, so that gives us pretty unlimited horizons too. And the world is just full of amazingly fascinating things. It’s been a blast writing about all this stuff and you have been a wonderful, and responsive, audience. We’ve had this other little thing going on too, namely, building an all-new museum. What was just a gleam in our eyes a few years ago has grown into a huge project that is moving ahead at warp speed. We thought it would never get here, and now it’s almost upon us! Construction for the new building will be finished in three scant months; we’re working with our exhibit fabrication team to turn the wonderful designs from Gyroscope, Inc. (our exhibit master planning company) into reality; and we’re really starting to cast our minds ahead to the opening of this grand new adventure. As exciting (and exhausting!) as this all is, it also means that we’re beginning to have to pull back on some of what we’re doing now. Running a museum while building a new one has been a unique experience of juggling and multitasking, for sure. We are planning to close our current institution at the end of this year so we can fully prepare to open the new museum in the summer of 2012. I’m finally getting to the point, which is that for now, we are going to put this blog to bed a bit. We’re not going to take it down, but we won’t be updating it as regularly. We do plan to provide updates on the new museum project and we may squeeze in some other posts along the way, too. And when we’re open at the new museum, look for us again — we won’t be able to contain ourselves for long. The world is just too full of amazingly fascinating things. My huge thanks to all the staff who contributed to this blog: Katie Bowell, Lesley Drayton, Linda Moore, Jason Wolvington, Treloar Bower, Toby Swaford, Tiffani Righero, Leigh Westphal, Ashley Houston, Pat Walker, Brent Carmack, Annette Geiselman, Beth Higgins, Cory Gundlach, Amy Scott, and Jayne Hansen. You all rock! Since breaking ground in September, construction has been proceeding apace at the new museum site. Practically all of the work so far is at or below the surface — hundreds of helical foundation piers have been drilled into the ground, a low concrete wall has been poured around the perimeter of the building, runs of PVC plumbing and venting pipe have been placed, and the working floor, or “mud slab,” is being laid. Every time we go to the site, it looks amazingly different. And starting this coming Monday (12-20), it’s going to look really different — the walls are arriving! 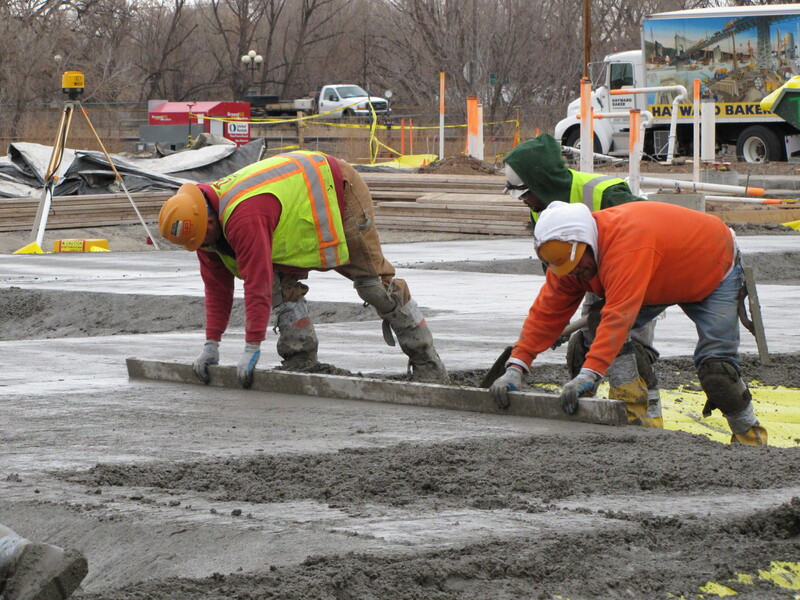 The outer walls of the museum building will be assembled from 89 custom precast concrete sections, built by Stresscon Corporation in Dacono, Colorado. We’re using precast wall sections for several reasons: they are environmentally friendly, they last longer than other construction methods, and they provide an array of beautiful finishes to choose from. Assoc. Director Jason Wolvington and I are heading down to Stresscon this morning to watch the first batch of wall sections being loaded on flatbed trucks for delivery on-site Monday. When they arrive Monday, a giant crane will unload them and they’ll be welded onto the foundation wall. Over the next three weeks, the new museum building will look like it’s literally rising up from the ground. Stayed tuned for updates and photos. Keep an eye on our Flickr site for photos, follow us on Facebook, and check out the panoramic photos of the construction site that we’re posting on our website. And as always, if you have any questions about what’s going on, please don’t hesitate to ask! Think back to when you were a kid – what kinds of things fascinated you? Sparked your curiosity? Turned you on to exploring your world? Yes, it was a long time ago, but remembering my childhood fascinations with the space program, dinosaurs, and the ancient past puts a smile on my face. I can still feel the feelings of wonder and excitement. Getting kids turned on to exploring and understanding their world – that’s one of our core passions here at the Museum. 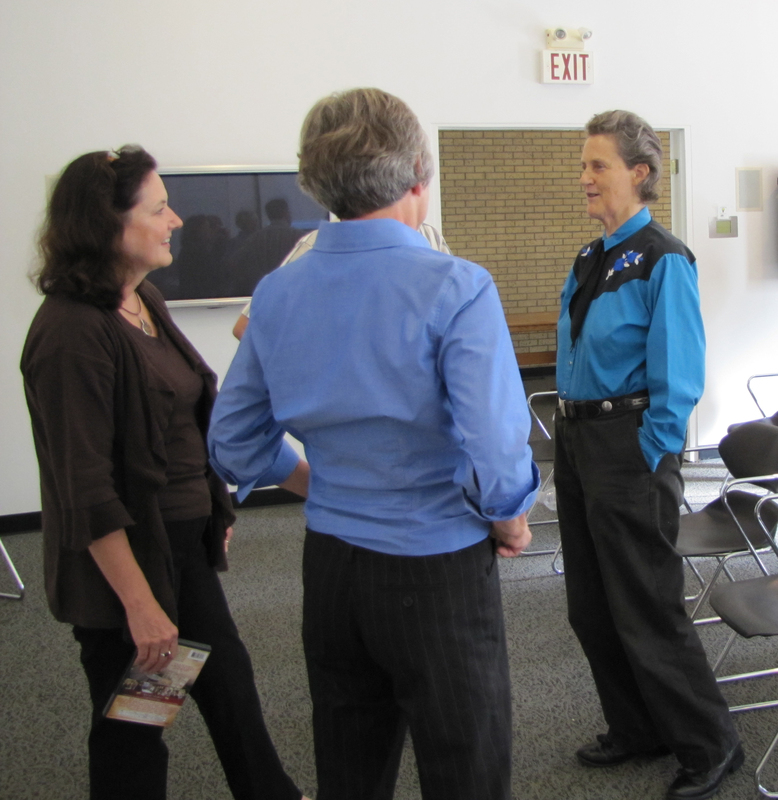 Last week we were honored by a visit from Dr. Temple Grandin, author, animal behavior pioneer, and autism advocate, who inspired us with her own experiences as a scientist and some great advice on engaging kids. We’ve got a double dip for you on this month’s installment of “New Museum Update.” First, we recently launched a whole batch of new website pages that cover some of the highlights of the new museum, including the digital dome, new classroom spaces, and the expanded Archive, among others. Check out these pages to see building schematics, exhibit designs, and architect’s renderings. These are just the beginning — we’ll have more and more to show you as we continue to create this amazing new museum. To see the new pages, start with “About the New Museum” and then explore the buttons you’ll find on the right. If you have any comments or questions, please let us know! Second, you may have seen on our Facebook or Flickr pages photos from our now-official construction site. 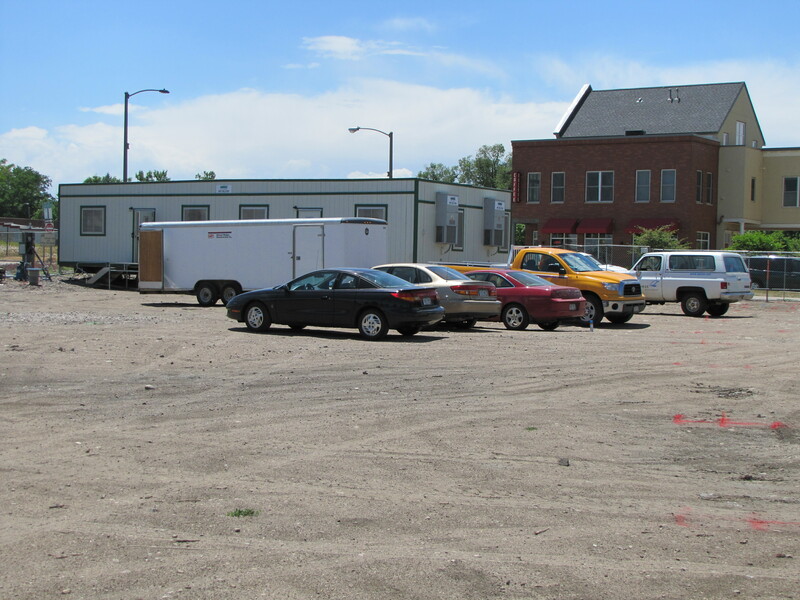 On Monday June 7th the construction fence went up around the site, and since then the construction trailer has been moved in and hooked up with phones lines and electricity. Just between you and me, that construction trailer is bigger than my house! It’s niiiiice. Once everything is in place, they’ll start working on prepping the site for actual construction to begin — soon! See more photos on Flickr. New museum update: Video preview! We hope you will dig this brand-new short video about our new museum project. Produced by our friends at the City of Fort Collins Cable 14, the video debuted recently at the Community Foundation of Northern Colorado‘s Annual Celebration of Philanthropy. The architectural fly-through has us really excited — things are getting real, really fast! One of the most exciting things we’re planning for the new museum, from my point of view, is the Digital Dome Theater. A digital dome theater is like the groovy love-child of a traditional planetarium and an IMAX theater: take a planetarium, with its ability to display shows in 360 degrees, and blend it with an IMAX theater with its stadium seating and all-digital projection and sound system, and you’ll start to get the picture. We’ve had the digital dome in our plans since the early days of figuring out what this new museum is going to be. With ground breaking coming up in just a few months, I started recently to get serious about researching what this was actually going to mean for us. Starting from absolute scratch, I quickly realized that we had a whole lot to learn — everything from the steel and concrete considerations of architecture, to racks of workstations and digital projection systems, to understanding all the possibilities for the kinds of shows we can run in our dome. Associate Director Jason Wolvington and I have been on a crash course ever since, and I can tell you even at this early stage, it’s going to be an amazing ride! 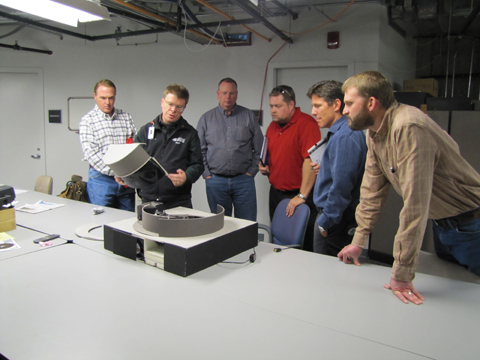 We were very fortunate to get connected with Dan Neafus, who runs the Gates Planetarium digital dome theater at the Denver Museum of Nature & Science. Dan is a real guru in the world of digital domes (also known as “full domes” or “immersive theaters”) and we’ve made a couple of field trips down to Denver to start absorbing this new world of technology. Dan has taken us behind the scenes at Gates to see the nuts and bolts, and really helped us get our arms around this thing. 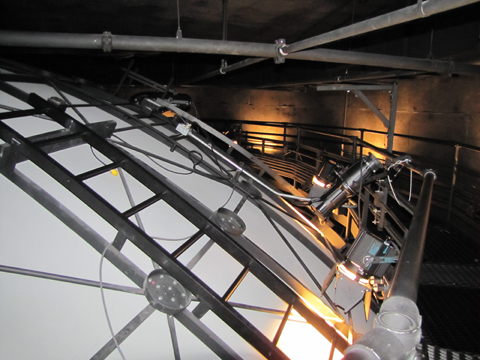 What sorts of things can you do with a digital dome? For one thing, there’s a great catalog of movies available, designed for the 360 degree environment. Many of these shows are about astronomical subjects, a reflection of the digital dome’s roots in the world of planetariums. But there are also shows about Egyptian mummies, ancient sea creatures, the African Serengeti — a variety of subjects, with new shows being produced all the time. A digital dome theater will also allow our Education staff to do live, interactive science presentations, literally zooming through the Universe to land on Mars or to explore the heart of the galaxy. They’re pretty excited about that! Best of all, for me, is that we’ll have the opportunity to create our own original content to show in our theater. We’ve produced several short documentaries here at the Museum over the last couple of years, and we’re really looking forward to having this incredible new way to share the stories of our local area. 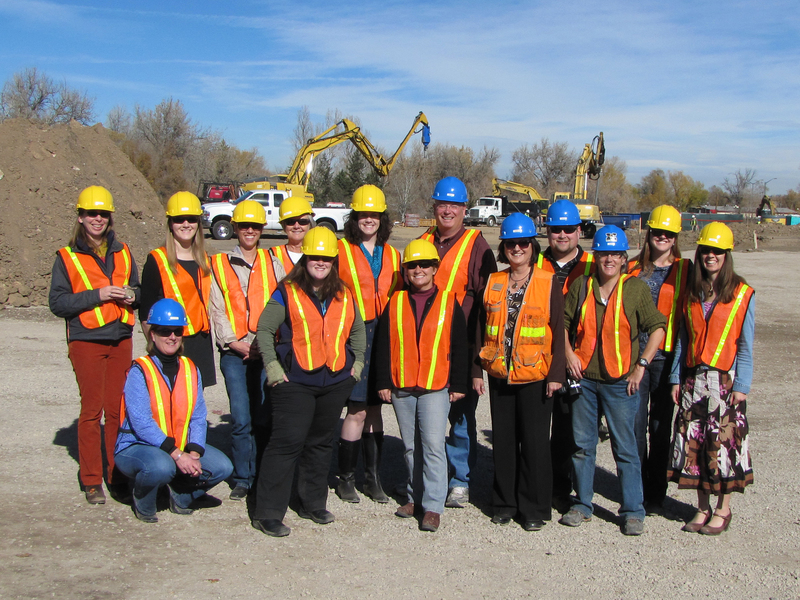 Bottom line: we are so thrilled to imagine such an amazing resource here in Fort Collins. Stay tuned. Have you seen the exhibit in the Museum’s lobby about our new museum project? If not, stop by and check out preliminary sketches of the new building, renderings of some of the new exhibit spaces, and the beginnings of our layout on the new site! Every day sees changes to the project, so we’ll be continually updating the exhibit to reflect current designs and sketches. And don’t forget: we’re on track to break ground on our new building this summer! Stay updated on our progress with this blog and on our website at www.fcmdsc.org/newmuseum.html.